Biggest Disney star of the late 2000s, Demi Lovato made a fabulous return to stardom with her 2011 album, Unbroken which includes hits such as "Skyscraper" and "Give Your Heart a Break". 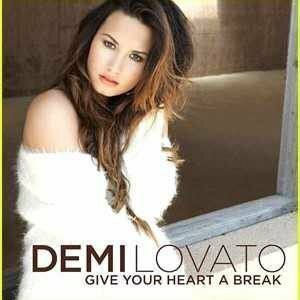 Selling more than 3 million copies in the U.S alone, MTV called "Give Your Heart a Break" The Greatest Pop Moment of the Year 2012. With an equally intriguing music video, where Demi tries to make a man fall in love with her, who had just suffered a heart break when his ex-girl friend ditched him. With more than 248 million views on YouTube,Disney's Sonny With a Chance star Demi Lovato would go on to create more amazing music in the next few years, with hits like "Cool for the Summer". But perhaps she is better known as the X-Factor judge, a popular singing related talent show..where she served as a judge along with Britney Spears and Simon Cowell. But the talent show had to be cancelled just after 3 seasons when Demi's 2009 nightmares came back to haunt her,unlike may other celebrities.. Demi had enough guts and courage to go public with her bipolar disorder which hardly ever dented her profession, as she continues to tour and perform across many popular cities in the U.S.